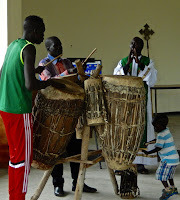 Every morning we have worship on the Gambella Anglican Centre compound. On Friday mornings, at least when St Frumentius’ Anglican Theological College is in session, we have a service of Holy Communion. Our small teaching staff, our 23 students, and our staff of about 15 all attend. It is usually a fairly quiet dignified affair (depending on who is leading the singing it may be less quiet and less dignified). But this is Africa; anything can happen. 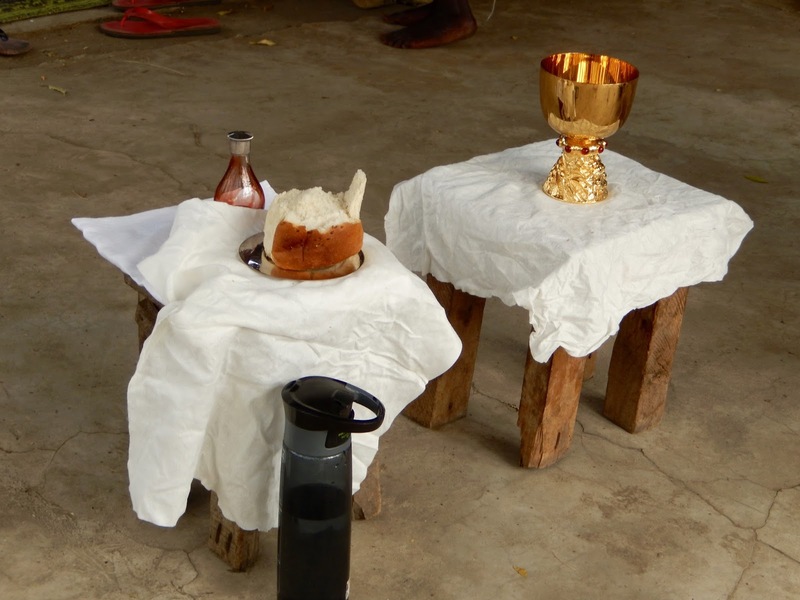 I have been in many Eucharistic celebrations in Africa in which a dog or a goat would take up residence beneath the holy table. Less often but equally interesting have been eucharists with live chickens in the offering, once a small snake quietly killed, once a bat clinging to the “fine linen”, and the usual contingents of hyperactive flies and marching ants. Africa is alive - sometimes frighteningly so. This particular morning I was the presider. As I listened to the sermon another sound drew my attention. It was coming from the speaker system at the other side of the sanctuary - but the sound was not on - we don’t need it for our weekday services. Then I noticed a few small bees escaping from the speaker, and then a few more. After a few minutes it became clear that no one would be able to receive communion at that end of the sanctuary. At the peace I went to Jeremiah Maet, one of our faculty. Pointing out the growing number of bees in the sanctuary I asked him to set the table during the offertory while I got some bug spray from the house. So here is the now undignified (I told you we are not always dignified) bishop running to the house and running back with my can of bug spray. I quickly got to work spraying the place in the speaker from which the bees were emerging. Well, now the bees start pouring out of the speaker by the hundreds. Thankfully they were too stunned to be angry, so only one person got stung (Darash, one of our staff, who decided that maybe he, rather than the bishop, should finish the slaughter of the bees). As extra offertory songs were being sung Jeremiah, James Lual (the crucifer for the service) and I moved the communion table and all of its contents down into the middle of the congregation. No one panicked. No one screamed. And, of course, the singing kept going until we were set up. And so we proceeded with the prayer of consecration, the sanctuary area behind me literally carpeted with dead and dying bugs. I opened the announcement time after the service by saying “this is Africa.” Everyone laughed. Staff went to work. Students went to class. I just shook my head and wondered if Jesus (or Francis of Assisi) would have handled this situation differently. ~ for the Anglican Church in Ethiopia as they await the appointment of a new Bishop for the Horn of Africa. ~ for the faculty and students of St Frumentius Anglican Theological College, especially for a new Dean, and for our newest incoming 'first year class'. 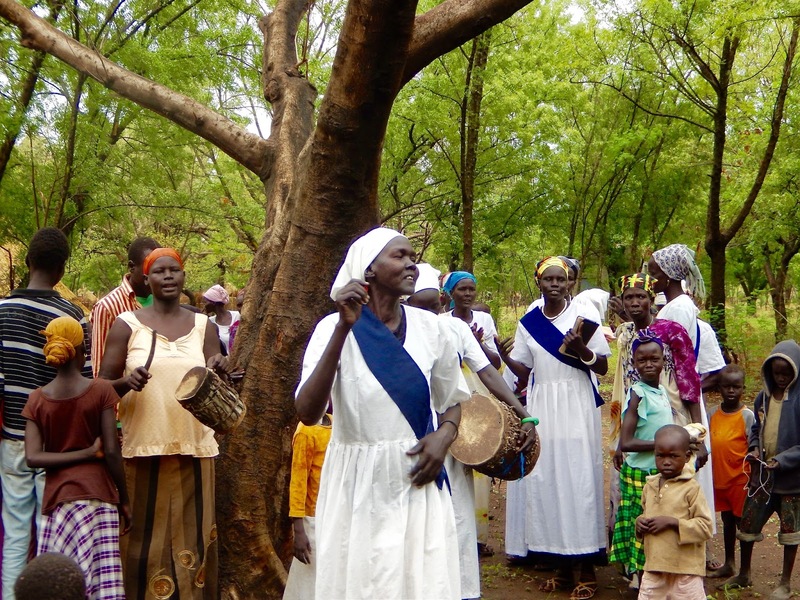 Never a Dull moment in Gambella! 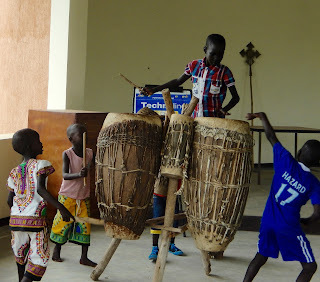 There is never a dull moment in Gambella. I’ve been back for a week or so and here’s what happening. 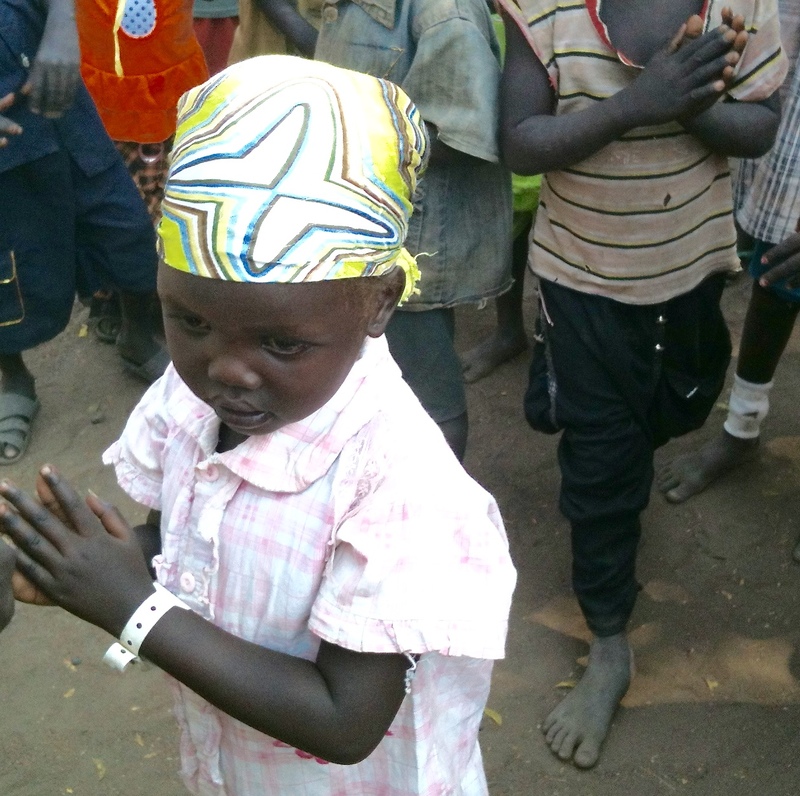 We are building a new church (with real bricks and cement) for our Gambella town Nuer-speaking congregation. 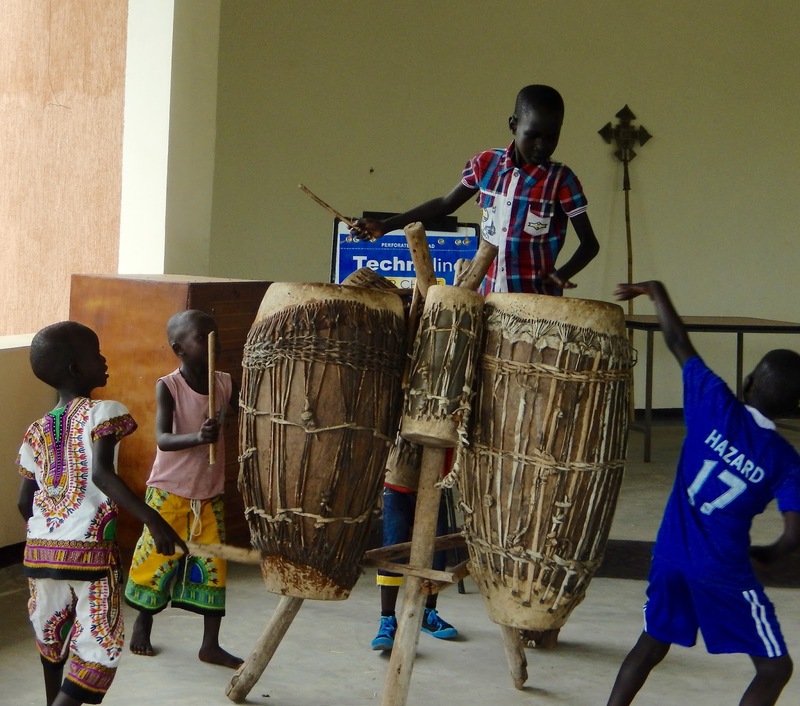 This has been made possible with combined donations from overseas, from our congregation in Addis, and from the Nuer themselves. Construction started a few weeks ago. 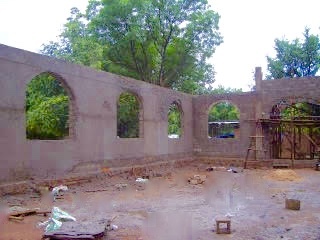 We have finished the foundations and the walls. The cement floor, the roof and the vestry are yet to come. We hope to dedicate the building in October. Wendy handed over the leadership of the Mothers’ Union Health programme to African leadership a few months ago. Since then our facilitators and coordinators have been hard at work, visiting and teaching. The Anuak groups decided (because it was the beginning of rainy season) to concentrate on teaching about the benefits of the Moringa tree - the leaves of which could eradicate malnutrition. They thought that since people would be planting at the beginning of rainy season, they would make sure that people planted Moringa! 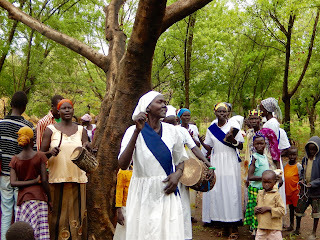 It is rare that marriages in Gambella are celebrated in church. Usually couples are ‘married’ traditionally - after negotiations there is an exchange of bride price (usually cows) and then the marriage is considered valid. Many want their marriages blessed in church, but the expectation is that there will be a big and costly celebration, which most can’t afford. We are trying to change the culture a bit and help our people to see that vows before God should be a major and normal part of a Christian marriage. While Wendy and I were away, the Nuer clergy, whose marriages had never been blessed in church, had a blessing ceremony in Gambella town led by Simon Ker, one of our Regional Deans. The couples - and their families and congregations - were overjoyed. A similar blessing ceremony will be held for the Anuak leaders soon. These will be followed by many ‘large group weddings’ in local congregations. A stunning loss for our Anuak volleyball team - or was it?Obang (our compound manager and amazing volleyball coach) brought a group of young men north of Gambella to the Asosa region to have a return match against a Gumuz-speaking team from the Mekane Yesus church. We beat them in an exciting match last year at the Gambella Centre. Sadly we lost the return match. 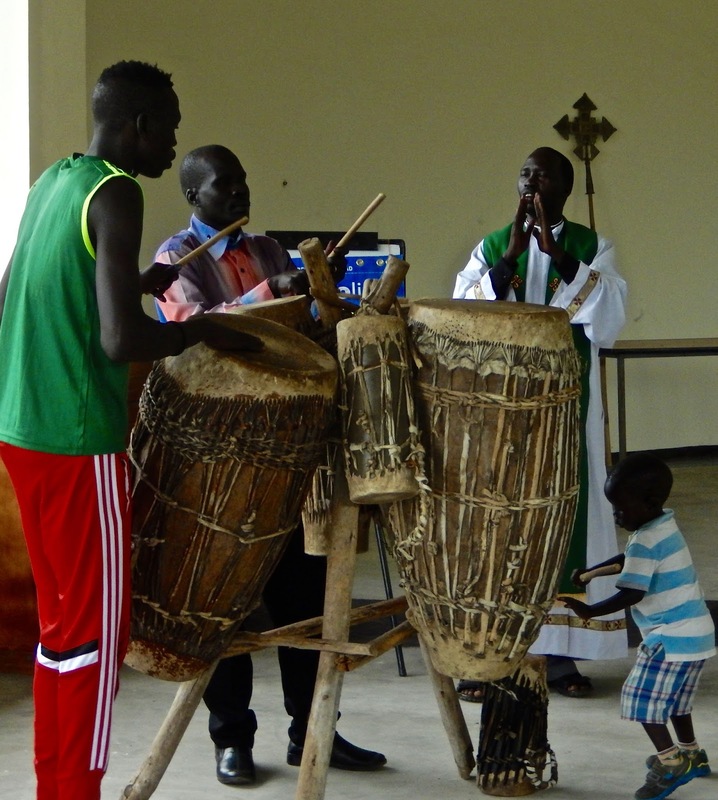 But Obang came back ecstatic - because a number of the young men from Gambella were introduced to Christ for the first time. More exchanges are being planned. St Frumentius’ Anglican Theological College. In July two very helpful volunteers (Jo from the UK and Frances from the US) taught English to staff, students, and prospective students of the college. The result, after interviews and lots of testing, is that we have a new first year class of ten students. 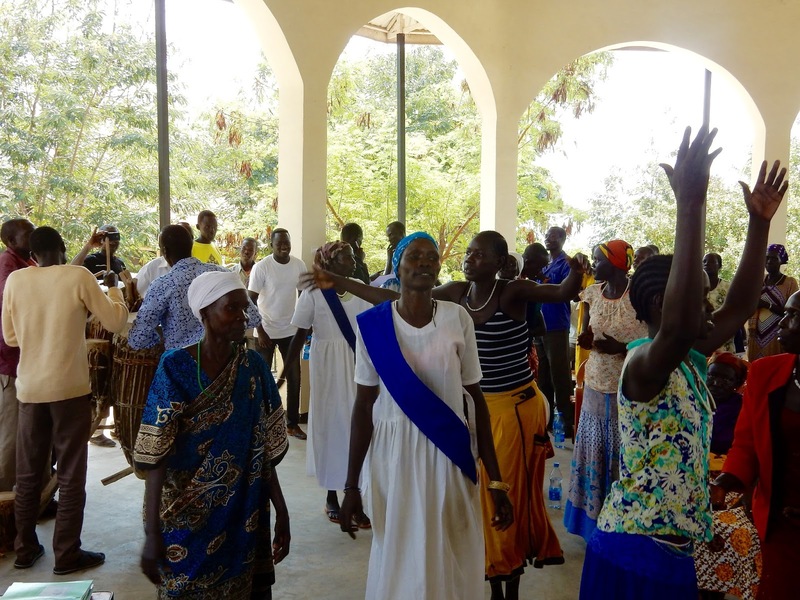 Most are Nuer and Anuak (our largest language groups), but we also have a new Mabaan student, our first Jieng (Dinka) student, and a Jum-jum student. Our two full time staff are being kept busy teaching Bible, African Traditional Religion and Preaching. A third full time teacher (Moses Hoth) will join us soon. Next week I’ll teach an intensive course on Medieval and Reformation Church History - with help from Roger, our priest in Addis Ababa, and Timmy, a British/Nigerian theological student. On Sunday August 13 I’ll do baptisms and confirmations at St Barnabas’ Church (an Anuak-speaking congregation). Over the next month I have multiple confirmations and new church dedications planned. Intensive courses on Systematic Theology (taught by Steve, an old friend from Montreal now living in Lagos, Nigeria) and on Peace and Reconciliation (taught by John Chol, another old friend from South Sudan) are being planned. We are hoping to have more than one librarian come in the next months to catalogue books and train one of our staff. ~ For one of our local youth leaders (Ochala Lul from Jur) whose finger was bitten off by a crocodile. ~ For Wendy in Pittsburgh. Her lung infections are proving to be very stubborn. Pray that the new (and rather expensive!) treatment regime will be effective. ~ For the continuing search for a new Dean for St Frumentius’ and for the search for a new Bishop. ~ For the clergy, Mothers’ Union, staff and parishioners here as they adjust to the news that Grant and Wendy need to leave. ~ For Grant and Wendy’s future.